I know that you all know that I am obsessed with Rachel Higginson's series Star-crossed and now this spin off just makes it better!! 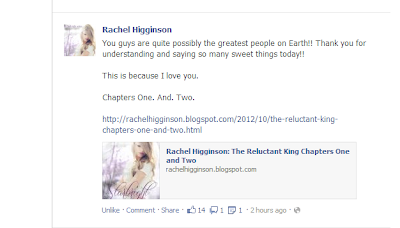 Now, that Chapter 1 and 2 are on her blog right is making me shake for the rest of the book. Hope y'all enjoyed it as much as I did! I feel the same way Hootie!! !